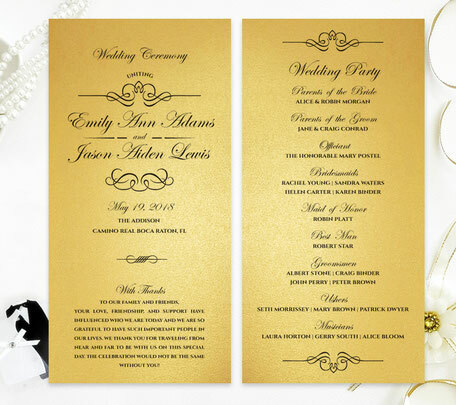 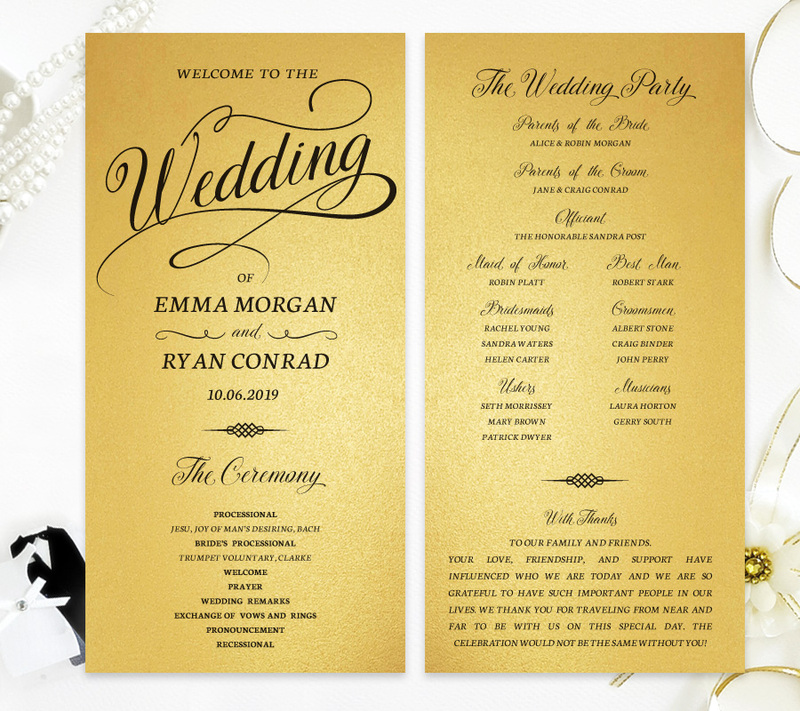 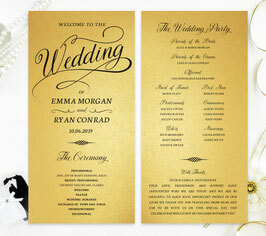 Beautifully and lavishly made, select one of our luxury Gold Paper Wedding Programs to inform your family and friends. 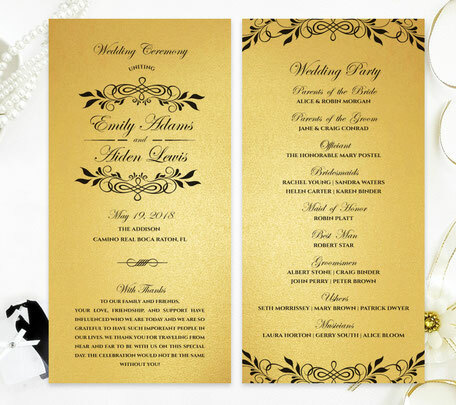 These Gold Wedding Programs are beautifully detailed and will effortlessly share the order of the ceremony as well as a brief thank you and the wedding party names. 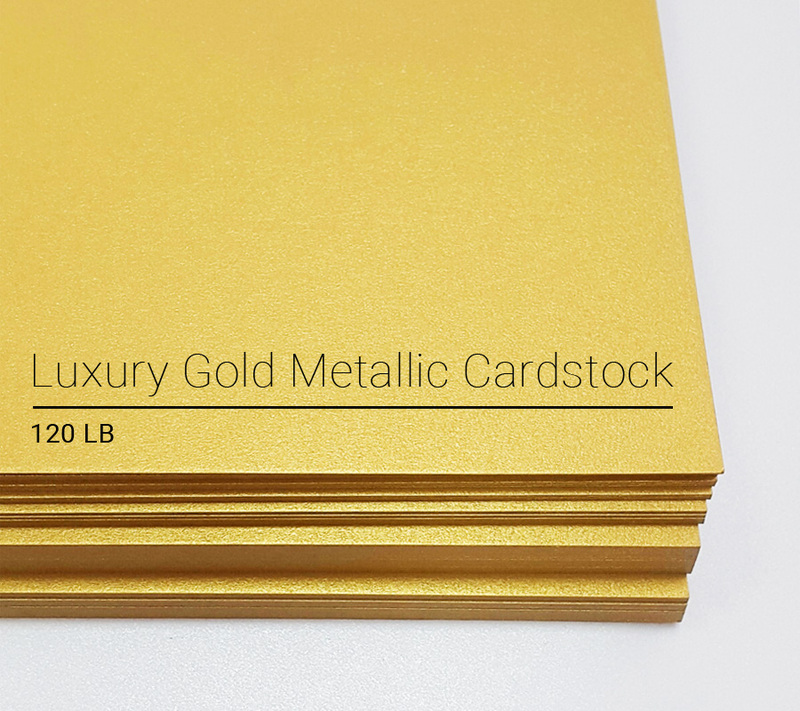 Printed on luxury shimmer gold card stock.